Sangeeta is the most popular and successful British Asian female singer, with a vast array of songs with a Bhangra/Bollywood feel. Popular for Indian weddings. Sangeeta is the most popular and successful female singer in the British Asian music scene, with a vast repertoire of songs with a Bhangra/Bollywood feel. Sangeeta was only 12 when she won the BBC Radio Leicester competition, the award being judged and handed out by none other than Lata Mangeshkar. The following year she also won an award at the National Indian Song Contest in Birmingham. 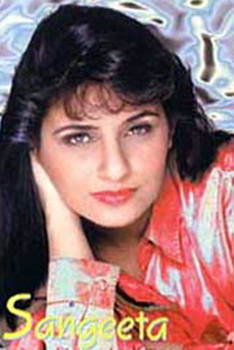 Her hit album ‘Flower In The Wind’ broke all sales records in the UK, reaching the number one position in both the Bhangra Charts and Hindi Charts simultaneously. In a male-dominated Asian music industry, Sangeeta has opened the door for all other female artists. A favourite at Indian weddings, her musical director, band leader, percussionist and composer is Kuljit Bhamra.